You can only cram so much into a graphical user interface before it becomes cluttered, so it should come as no big surprise that you can do some really cool things using the Mac Terminal 4 Cool Things You Can Do With The Mac Terminal 4 Cool Things You Can Do With The Mac Terminal The Terminal is the Mac OS X analogue of the Windows command prompt, or CMD. 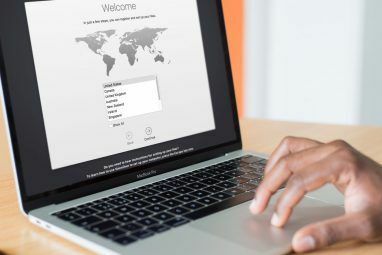 It's a tool, as you probably already know, that allows you to control your computer using text commands, as opposed... Read More . After you’ve learned the basic Terminal commands 5 Fun & Useful Terminal Commands You Can Use More Than Once [Mac & Linux] 5 Fun & Useful Terminal Commands You Can Use More Than Once [Mac & Linux] There is a ton of information on the Internet about various Terminal commands and ways to customise your Mac or Linux machine with the Terminal. Here are some commands which are really useful and can... Read More and geeked out with some funny Terminal easter eggs 4 Fun And Simple Things You Can Do Using Terminal [Mac] 4 Fun And Simple Things You Can Do Using Terminal [Mac] Read More , you might wonder what else this slick beauty can do for you. You probably noticed how your MacBook sometimes takes an age to wake up from sleep, especially when you’ve been away from your keyboard for some time. This is due to Mac OS X’s standby mode, which is a deep lumber that your computer enters after a set period of inactivity. Standby is a great feature that saves a tremendous amount of battery; it’s part of the reason that your MacBook’s battery lasts so long. However, you might want to change the time after which Mac OS X enters standby mode, increasing the window in which you can do a fast wake up. On laptops produced after 2013 the default time is 3 hours. On older computers, that’s 1 hour. The current value of your MacBook’s standby delay is expressed in seconds (e.g. 10800 seconds, equal to 3 hours). You might want to make a note of this somewhere. Change the standby delay by running the following command, substituting NEW_VALUE for the new delay (expressed in seconds). Be aware that increasing the standby delay does lower your battery life. It’s the trade you make for being able to wake up your MacBook faster. If you want to change back to default settings later on, just run that same command again with the original standby delay value. A lot of users don’t use the Mac OS X Dashboard. If you’re on a fast machine, that’s no big issue; you just ignore it. However, older MacBooks often have to cope with memory limitations. If you want to reenable the Mac OS X Dashboard in the future, run those same two commands again, but swap out YES for NO at the end of the first command. Quick Look is one of the fastest ways to preview a file without opening it in its designated application. Tap space to view the file contents, tap space again to discard. What a lot of people don’t know is that you can open files in Quick Look from the Terminal. 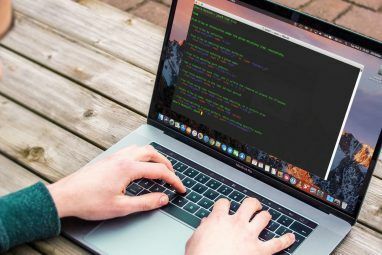 This is especially useful if you’re an avid Terminal user and like to combine CLI with Quick Look magic 6 Great 'Quick Look' Features You Probably Don't Use (Mac) 6 Great 'Quick Look' Features You Probably Don't Use (Mac) Read More . Using this command will print a lot of feedback in the Terminal, intended for Quick Look testing. You can ignore those lines. While we’re still on the subject of Quick Look, let’s talk about one of its biggest shortcomings: you cannot select text in file previews. Interestingly, a single Terminal command is sufficient to take care of that lack, although it won’t work with files opened in Quick Look using the Terminal. If you want to revert Quick Look to its default settings, run those same two commands again, but swap out TRUE for FALSE at the end of the first command. Even though the previous command makes the Dock start to appear faster, you’ll notice it still slides into view at exactly the same speed. With the following command you can change the speed of this animation, substituting MODIFIER for the multiplicative change in speed you’re looking for. In other words, a value of 0 will make the Dock snap up instantly, a value of 0.5 doubles the speed and a value of 1 keeps the speed the way it was. In Mac OS X 10.7 Lion and later, some applications keep track of what files were opened when the application was closed. 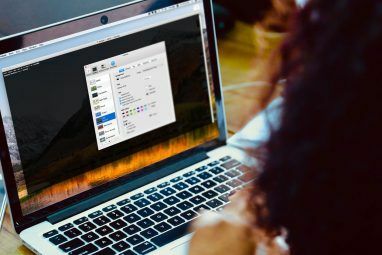 This can mean a dozen documents popping up when you open Preview 10 Tips You Need to Know About Mac Preview 10 Tips You Need to Know About Mac Preview Read More , just because you didn’t close each window separately before quitting. You can do the same for QuickTime by swapping out Preview for QuickTimePlayerX. If you ever want to revert these changes and turn auto-restore back on, just execute the same command but change FALSE to TRUE. 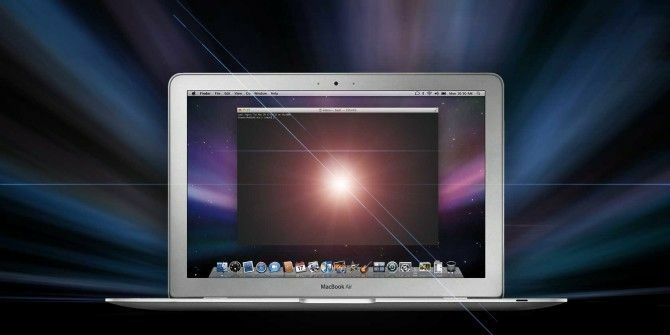 Do you have any other cool Terminal tricks up your sleeve that make your MacBook snappier? Share your tips in the comments section below the article! 5 Sites and Apps to Find Movies & TV Shows to Watch on NetflixWhat’s New In OS X 10.10 “Yosemite”? Copy and paste the commands below one at a time. After the first command, you'll be prompted to enter your password. After you've run all these commands in the Terminal, open up Disk Utility from /Applications/Utilities folder. Select the drive you've installed Mavericks on and select Repair Permissions. After Disk Utility is finished, you should be able to select shutdown and restart with no more lagging or stalling problems. Does anyone know ways to speed up the shutdown time ?